On a recommendation of my fellow blogger, Sasha, I decided to saute my green beans tonight. I also added some nice spices to the chicken called “Kick up Chicken” spices. Basically it had several kinds of pepper, garlic, onion, and a few other things. It all turned out quite good, if I do say so myself! The chicken was nice a juicy, not dry. The main difference was I cooked until the meat thermometer read 170 indicating the meat was cooked thoroughly instead of just cooking the snot out of it. I’m always paranoid that I won’t cook chicken enough and get food poisoning! 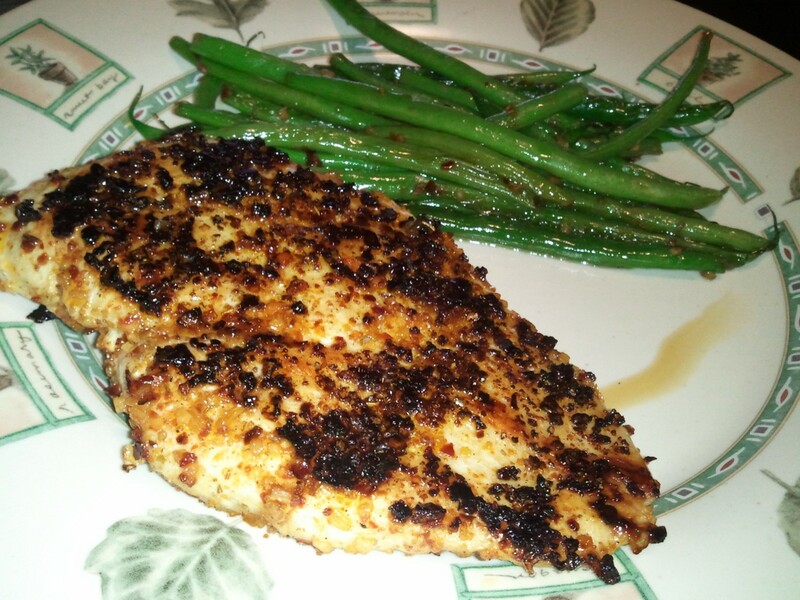 This entry was posted in Good Eats and tagged Good Eats, Paleo on January 10, 2011 by Tammy.